No one is so poor that they cannot give, nor so rich that they cannot receive. No man can rise to fame and fortune without carrying others along with him. It simply cannot be done. 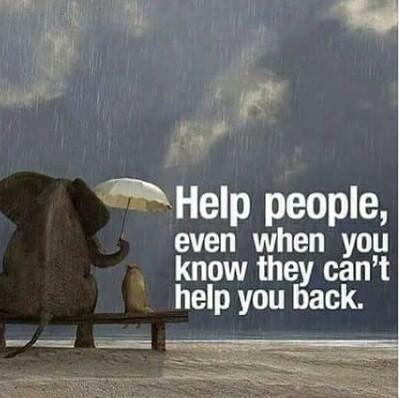 Be helpful to others if you have no one to help you. Don't change yourself according to others, Just remember one thing it is not between you and others it is always between you and God. Your greatest deeds are not those you boast or brag about but those little things in life you did for others with your heart's intuition. Life is about how much you have done to improve the lives of others. A strong person is not who uses their power to take someone down. A strong person is one who uses their power to help those who are down. Be the man of your words, be helpful to others and be that person who is selfless. Someone is looking up to you. Be strong for them even when you feel like giving up. Help them get hold of that great strength that lies in the inside of them. Be a great mother, father, sister, brother, uncle, aunty; In short, just be a great example to your family and those who look up to you. Helpfulness is providing help or assistance to others. In a society, it is the duty of every satisfied citizen to offer help to those who need them. John F Kennedy once said, “If a free society cannot help the many who are poor, it cannot save the few who are rich “. Helpfulness is found not only in humans even in animals too. When an elephant falls into a pit, we see many elephants surrounding and offering their trunk to get the affected animal out. So, we have to learn lessons from animals and birds and make this human life meaningful and supportive. 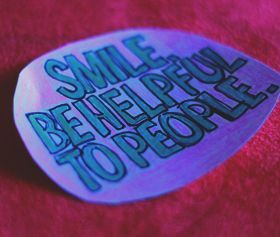 Helpfulness can be in the form of actions or words or just a reassuring smile too. To quote Hubbard “often we can help each other through a hand grasp and a word of cheer” helpfulness can come from any one. Charles dickens says “no one is useless in this world that lessens the burden of it to anyone else “. Let’s develop this trait.